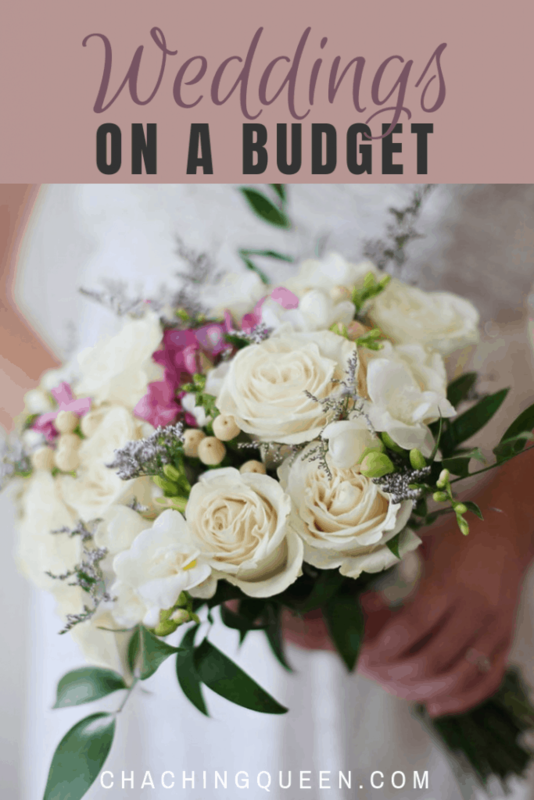 This is a collaborative post by Ellie Jo with tips on how to save money on a wedding and have a wedding reception on a budget. 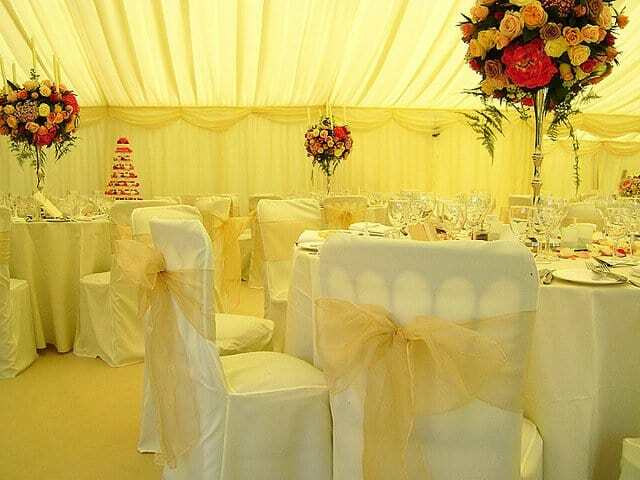 When it comes to planning a wedding, it is always a good idea if you can save a bit of cash. It can all add up but doesn’t have to. There are lots of things that you can do to save. Take your reception, for example. There are various things you can save money on, from decor to favors, to food and entertainment. Here are some ideas on what you can do to throw an amazing wedding reception on a budget. If you are having your wedding at a specific location, then quite often they will add extra for a DJ of their choice. 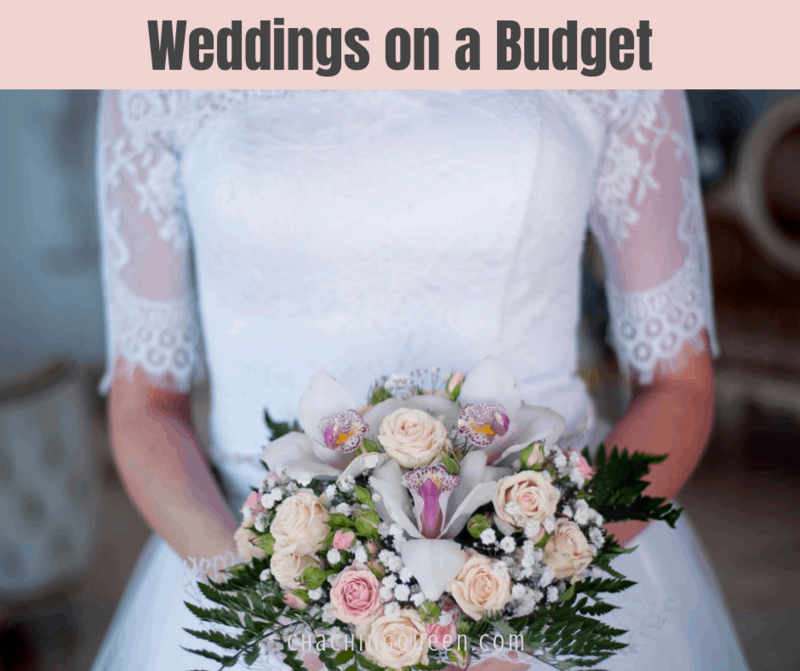 While it makes it easier for you when it comes to planning the wedding, it can add an unnecessary cost. 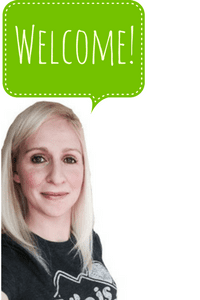 If you have a friend that knows their way around a music system, that would be coming to the wedding anyway, see if you can get them involved. It will save a lot of money and probably help you to feel more at ease. 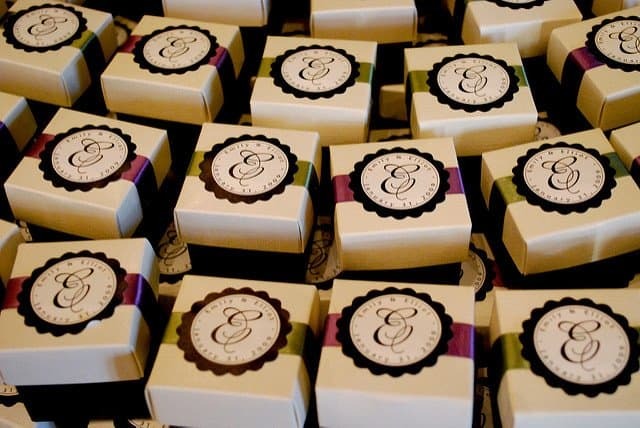 A wedding favor is a simple thank you for your guests to take away. But having said that, it doesn’t have to be something really extravagant. It can simply be a cupcake or a something else edible. You can get a little bottle of bubbles that they can have, as well as something like a keyring. But in order to save money, try and make the favors yourself. You chose the cupcake option; the cupcakes can be made well in advance and frozen. Then you can defrost a couple of days before and ice them with frosting. It could also double up as a name place card, by making some of your own cupcake toppers with their name on the cards. All you’d need is some card and some cocktail sticks. The options are endless when it comes to wedding favors, though. 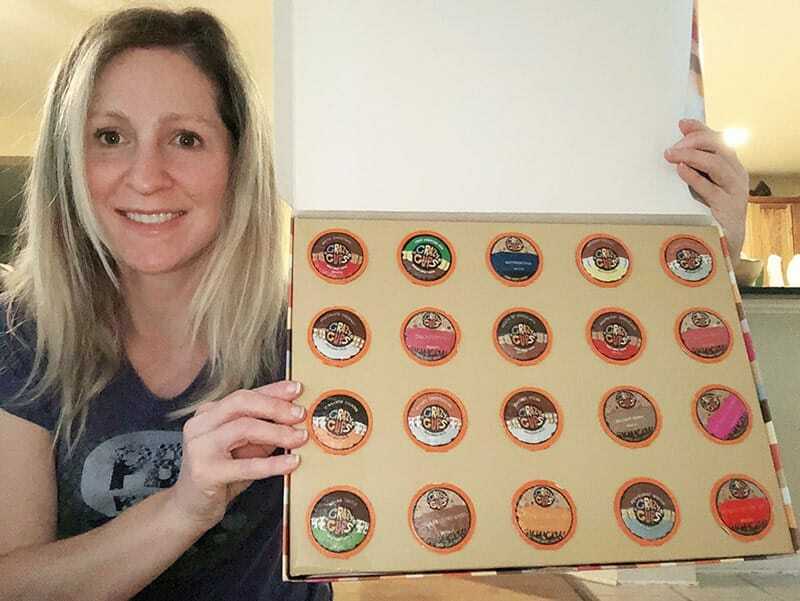 Why not look online, somewhere like https://ourstart.com/diy-wedding-favors for some DIY wedding favor ideas. 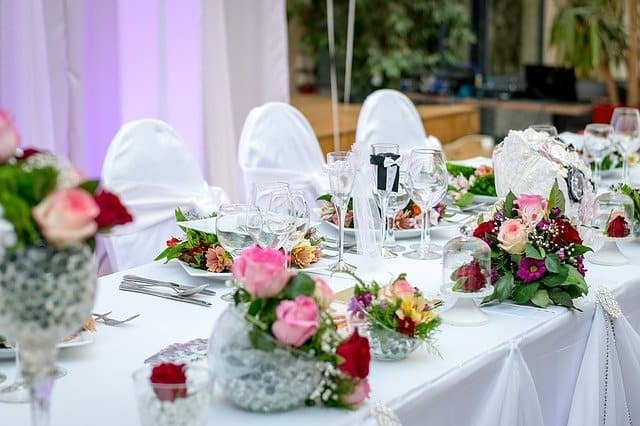 If you go to a venue for your reception, they might have the option of centerpieces for the table at an additional cost. But one of the cheapest ways to do that is to make your own. You can use various things that you’ll already have around the home. Tall flowers could be topped with flowers, or goldfish bowls can be filled with glass marbles, water, and floating gerberas, for example. You can even use things like cake stands to display photographs, flowers or ornaments, to really make them stand out. There are a lot of cake stand centerpiece ideas online, like these http://www.save-on-crafts.com/cake-stand-ideas.html. Venues add extra for things like chair covers. Even if it is only a couple of dollars a chair, it can all add up when there are 100 or so guests. So making your own can be very cheap. If you didn’t want to make a full over, then you could make a sash for each chair. It just makes the whole reception look prettier and more cohesive.